We had a great deal of rain this summer, which led to a bumper crop of snails. 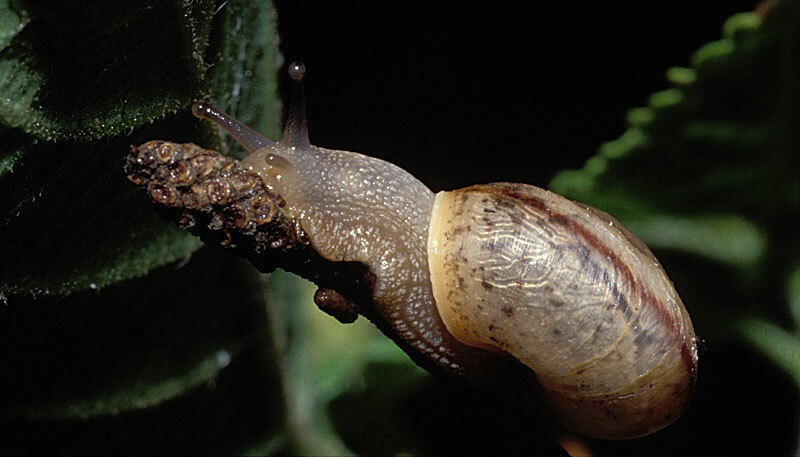 One good thing about snails is that they are relatively easy to photograph: They do not move too fast! The first is of a guy who climbed to the very tip of a flower bud to do his thing. 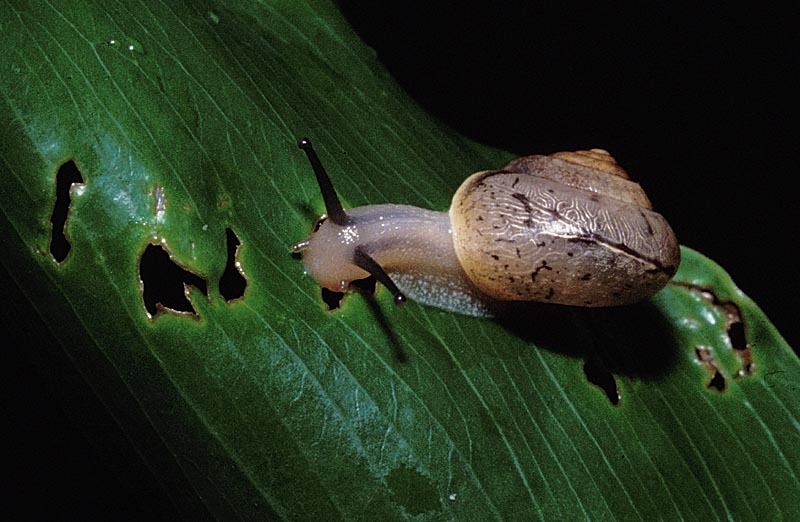 The second shows a snail dining on some plant leaves, leaving nasty looking holes behind. 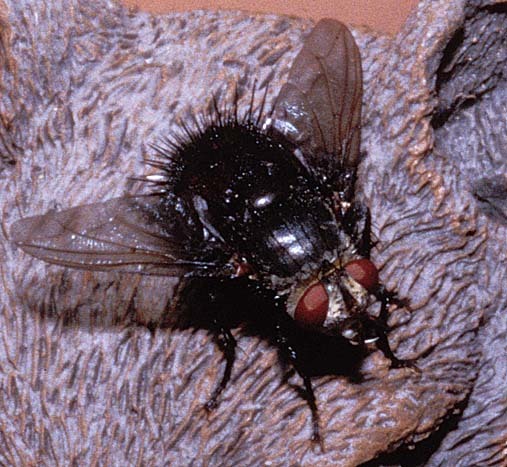 The fly above is on a ceramic squirrel in our back yard. Some day I'll get a photo of the squirrel to show perspective. All are from Kodak E-200 slide film, Nikon N90s, Nikon 105mm macro lens, with flash, ~ f32.